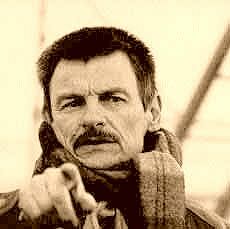 Moscow-based International Foundation of Andrei Tarkovsky launches a grand program to celebrate the 75-year Anniversary of this talented Soviet film director, who died in 1989 in Paris. The 1st International film festival “The Mirror” will take place on July 6-13th in the town of Ivanovo (near Moscow), where Tarkovsky was born. A retrospective of Tarkovsky’s films is scheduled on April 3-11 at Moscow’s Central House of Artists. On April 4, Tarkovsky’s birthday, they will show his diploma film “The Skating Rink And The Violin” (1960), which won Grand Prix of the New York Festival of Student Films in 1961 and his first full-length feature “Ivan’s Childhood” (1962). The retrospective will also present such famous films as Solyaris, Mirror, Stalker, Nostalgia and Sacrifice. Rus Olymp Publishing House has released an illustrated album «Andrey Tarkovsky» with 250 family photos of Andrei Tarkovsky, his father, wife, son and close friends shot by Tarkovsky’s old friend, his professional D.O.P. Alexander Antipenko. This definitely be the next preference. You are perfect, theme team. I Really enjoy the system, fonts along with the perfect subject. Thanks for a great valuable project. Great work!